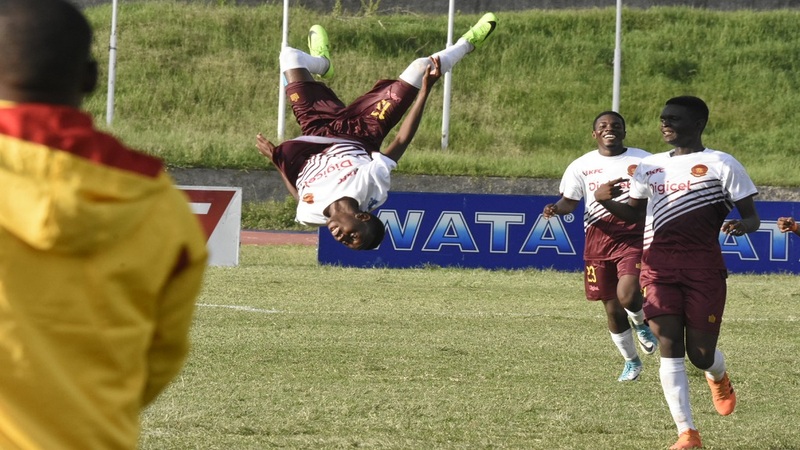 The second set of matches in the quarter-final round of the 2018 ISSA/Wata daCosta Cup competition will start on Friday with one game featuring Mile Gully High and Maggotty High at Manchester High. The game is scheduled to kick off at 3:00 pm. The remaining second set of quarter-final games will take place on Saturday. Sixteen teams, divided into four groups, are contesting the quarter-final round and only the four group winners will contest the semi-finals. 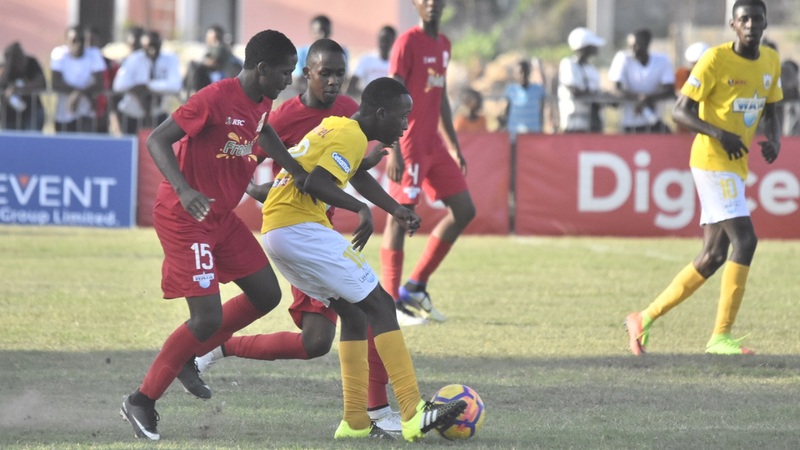 Mile Gully High and Maggotty High both lost on the opening day of quarter-final action and as a result, Friday's Group 1 matchup is very important. 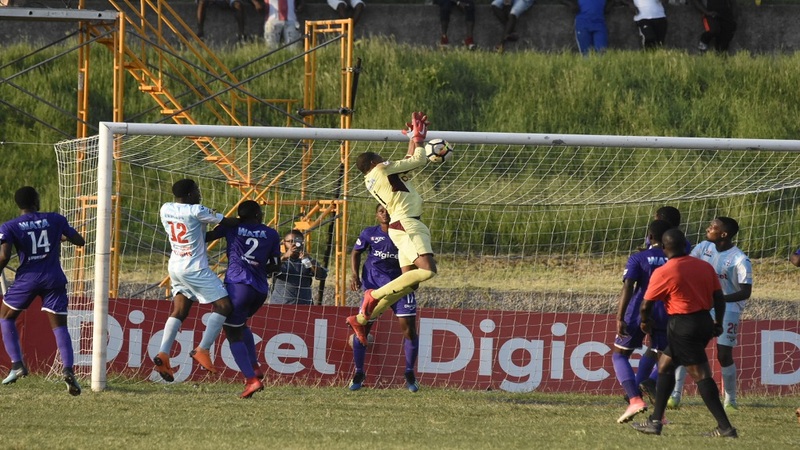 Maggotty High suffered a 1-0 defeat against Frome Technical on Tuesday, while Mile Gully also lost by a similar scoreline, this against Port Antonio High. Frome Technical High and Port Antonio High are leading the group with three points apiece. The Mile Gully High, Maggotty High clash will be interesting as the teams looked evenly matched based on statistics this season and both are playing in the quarter-final round for the first time. In the home-and-away preliminary round, Maggotty High won five of their 10 games to finish second in Zone E, eight points behind group winners St Elizabeth Technical High School (STETHS). On the other hand, Mile Gully High won six of their 10 matches to end third behind Manchester High and B.B. Coke in Zone F and qualified for the second round as one of the two best third-place teams. Mile Gully High then went on to dump defending champions Rusea's High from the competition at the second round stage, which landed them into the quarter-final round. Rusea's High lost the two-way battle on the away goal rule. 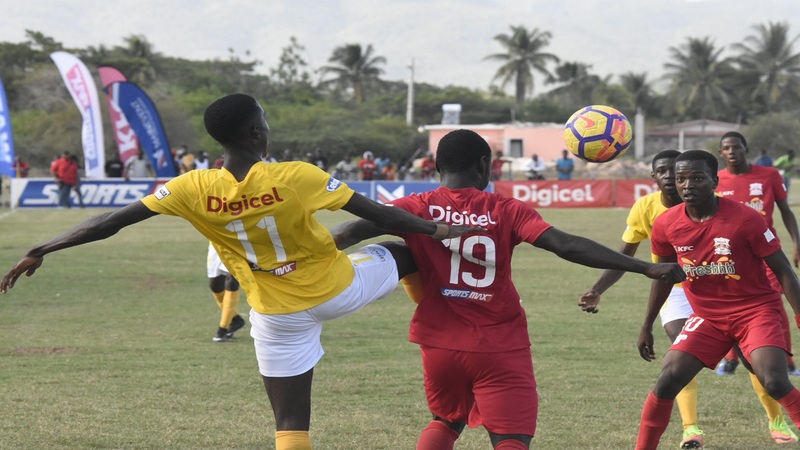 Mile Gully High won the first leg game 2-1 but lost the return-leg 3-2 in Lucea on Saturday, which enabled Rusea's High to tie up the scores at 5-5. Mile Gully High were at their best in the return leg as they trailed Rusea's High 3-0 early in the second half, but scored two crucial away goals in the space of 18 minutes, with Javel Coley getting the all-important strike in the 82nd minute. Maggotty High also got into the quarter-final round on the away goal rule over Cedric Titus High. The schools battled to a 0-0 draw at STETHS Sports Complex and a 1-1 draw at Ellison Wakeland Centre on Saturday. Port Antonio 1 Mile Gully 0 Carder Park 3 p.m.
Maggotty 0 Frome 1 Frome Sports Complex 1 p.m.
Old Harbour 0 Clarendon College 5Juici Patties Park 3 p.m.
Manchester 4 St James 0 Jarrett Park 3 p.m.
Dinthill 1 Petersfield 0 Frome Sports Complex 3 p.m.
Lennon 0 STETHS 2 Juici Patties Park 1 p.m.
Cornwall College 3 Charlemont 1 Bramwell Clarke Complex 3 p.m.